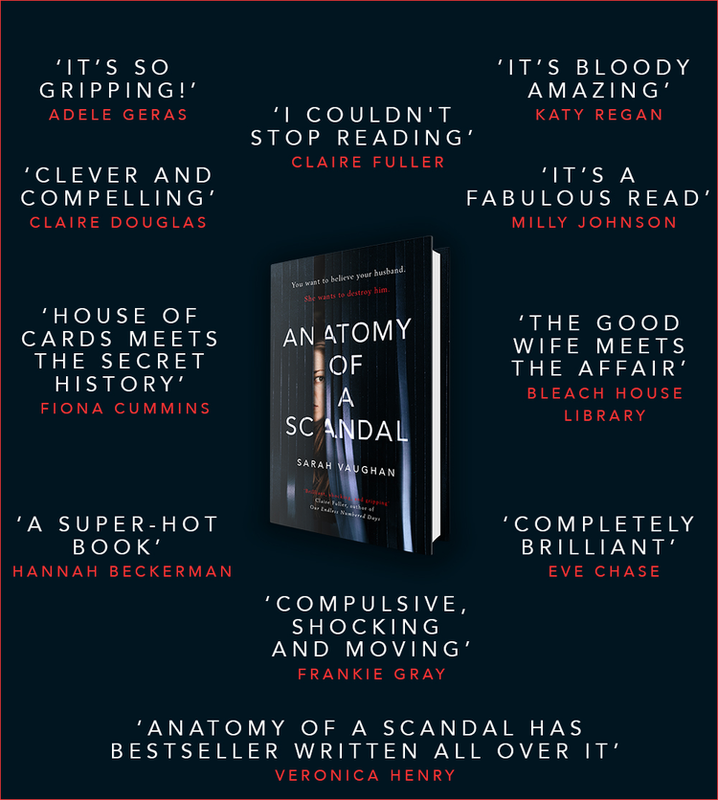 Anatomy of a Scandal is about a high profile couple, Sophie and James Whitehouse, whose marriage begins to unravel when James, Junior Minster and close friend of the Prime Minister, finds himself on trial, accused of a terrible crime. Sophie wants to believe her husband is innocent and protect her family from the lies that threaten to ruin everything they have. But the Barrister, Kate, is certain James is guilty and should be made to pay for what he has done. Why would it make a good Book Club choice? 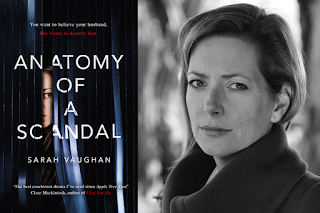 It's a great read - a domestic thriller, full of nail biting court room scenes which rival The Good Wife and Apple Tree Yard. It's incredibly topical - eerily 'of the moment'. It's a fascinating exploration of class, entitlement and privilege. The perpetrator is not only being tried for his physical actions but also for his social status, past behaviour and self absorption. James's self assurance and wealthy background has lead him to believe he can behave recklessly without any thought for long term consequences or the effect his behaviour might have on those he claims to love. It's got some fantastic female characters. 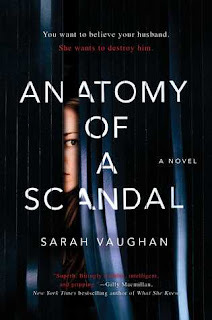 It's got characters who are complicated, interesting and provoke emotional responses from the reader, characters who are all hiding shared histories, lies and secrets. 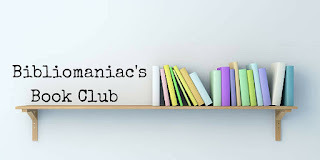 What could we talk about in our Book Club? 1. The characters in this novel are from very privilege backgrounds. How did that affect your feelings towards them? Was it harder or easier to feel empathy or did it not make any difference? 2. There are a number of themes explored in the novel. Which do you think is the most important theme or message in the book? 3. What does the writer say about marriage and women in this novel? 4. How did you respond to the scenes from University? Were they convincing? 5. Which was your favourite character Katie or Sophie? Why? 6. 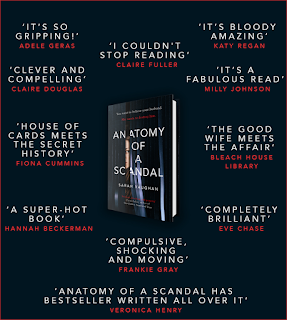 Anatomy of a Scandal has been likened to The Affair, Apple Tree Yard and The Good Wife. Do you think these are fair comparisons? Which other novels would you add? 7. Why are we so fascinated by the trails of Members of Parliament and high profile figures? Do we have different expectations for their behaviour? Is this fair? 8. This novel is very topical at its time of publication. What other universal themes are explored in the novel to ensure that it remains relatable and continues to resonate with readers in the future? Will it still resonate with readers in the future? 9. 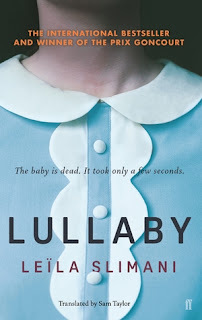 If you could ask the author a question about this novel, what would you ask them? 10. 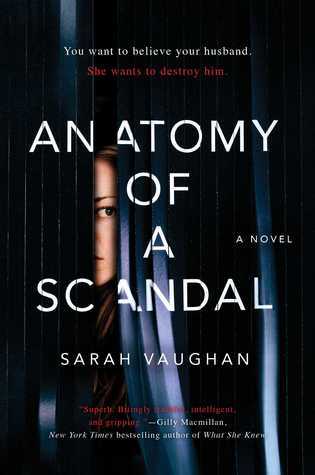 Anatomy of a Scandal is crying out to be made into a film or TV series. Who would you cast as the main characters? 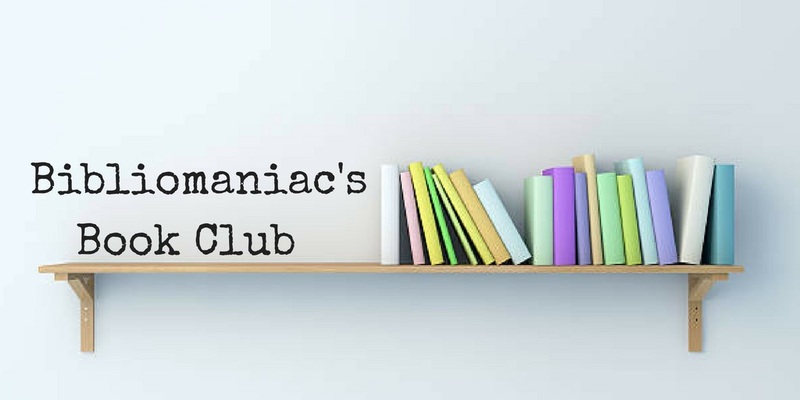 Hope you and your book club enjoy reading and discussing! Do let me know how you get on in the comments below!